Before I dive into the world of retailers one thing: the nature of agreements between any retailer and Hasbro is confidential. Nothing is known. What is known however is what such agreements usually cover. So the things that I will talk about now are likely part of any agreement between, say, Walmart and Hasbro or Target and Hasbro. But most certainly not between your local mom and pop toy store and Hasbro. A basic and very common misconception that many people might have is that selling products to consumers is the only source of revenue for a retailer, especially big box retailers and retail giants such as Walmart, Target and co.
Actually, retailers are quite innovative when it comes to making profits. And one major source of revenue for retailers is: the vendor/manufacturer of the very things they sell. First of all: retailers and vendors have an agreement, a contract, so to speak, that covers various aspects. Then there is vendor compliance and retail chargebacks. So what are those additional sources of revenue? The slotting (or entry) fee. The vendor has to pay the retailer for the privilege of carrying their product. Shelf space is limited and vendors often fight for the best shelves, any retailer is happy to give you shelf space, but you have to pay for it. So before a vendor can actually sell something they have to give the retailer money in order for the retailer to put their product on the shelf. Also: endcaps, pop-ups etc are all paid for too, which means if a vendor wants to put their product on endcaps they certainly paid extra for that. There are various other fees, not all of them will always be applied, but they do exist: a very important one is the promotional allowance. 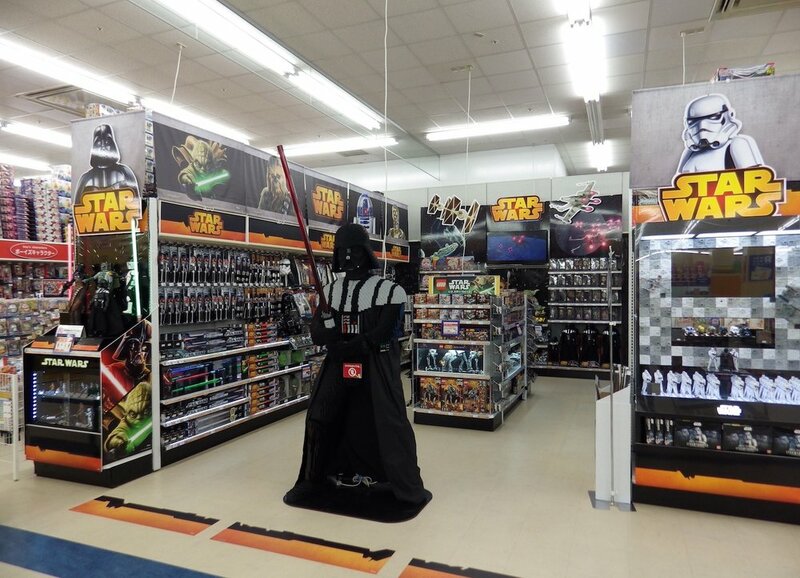 In short, when the retailer promotes a product, in store or elsewhere (display diorama, huge Lego figures, lifesize statues), the vendor or supplier usually offers a rebate of trade prices, in other words: the retailer has to pay less for products that they promote. Then there are retail chargebacks. In short, this is a list of fines the vendor/supplier has to pay (in the form of rebates, i.e. the retailer will not pay the full sum for the ordered product) if something goes wrong. Shipments are too late (or too early)? The vendor/supplier has to pay for that. Not enough product was shipped and the order fill rate was not met? They have to pay for that too. A label was applied in the wrong place or the UPC code is missing, in the wrong place etc? You guess it, the vendor/supplier has to pay for that too. A pallet is cracked, a box is damaged? Yes. Chargeback! Retailers are happy to demand chargebacks. They are a serious source of revenue for them. And there is yet another fee or allowance that is of great importance. The markdown allowance. Sometimes also called margin protection payment. Yes. Vendors may pay retailers when retailers discount something. Retailers always seek to share the risk of selling something with the vendor and vendors can and do pay a markdown allowance to retailers to protect the retailer’s profit margin. Also, there are manufacturers that don’t allow ANY discounts, so the retailer can’t just offer that Rolex watch for 50 cents. Some manufacturers are very concerned about brand image and will never allow deep discounts for their products. Other vendors will support discounts and pay that markdown allowance. There are also rewards, vendors may pay retailers if they meet or exceed certain targets and help them move product. So with that covered it becomes clear that retailers are not suckers who will buy a bridge from vendors and are then left behind cursing themselves for being so foolish. And it doesn’t stop with all the various allowances and fees either. Retailers do know human psychology and they seek to exploit our weaknesses and basic human nature. Let’s talk about retail markup. There is such as thing as “anti sale” prices. Which basically means that the full price you pay for a product (before discounts) is the marked up price and the price with discount is the normal price of the product. Retailers know that some people just can’t wait and buy things at full price as soon as they are released. Retailers exploit these customers by marking up the normal price and offering the product at an inflated price, so to speak. A few weeks later the retailer can then graciously offer some discounts, which seem to be great bargains, but in truth, this discount price is actually the normal price and the full price you had to pay before was marked up. Also, retailers know that products will be discounted and they calculate exactly what that (sometimes marked up) full price, the discounted (or normal) price and that clearance price need to be in order to reach their target average price for the product. Sometimes retailers sell something at or even below cost. They must be crazy? Right? Of course, they are not. This is called “loss-leading”. Loss leaders are meant to attract and lure in customers who then have to navigate the store and almost always inevitably end up buying more than just the discounted product. And it works. Loss leaders can attract quite a few people, the retailer has more customers and they may lose a few dollars with the product sold at or below cost, but ultimately the retailer makes more money by selling more of their other products which were not discounted. Also, retail giants such as Walmart have much more bargaining power than some etailer or independent toy store. They often try to reduce trade prices. So, to sum it up: vendors can (and do) pay retailers when they offer discounts. Vendors pay for shelf space. Vendors pay extra for end caps or pop-ups. In return the retailer will fine the vendor for doing things wrong. Actually, Walmart tightened the screws (as did Target btw.) in 2017 when their rules for on time delivery were changed. Suppliers/vendors have to be much more punctual now than before. All in all all these various chargeback fees and other fees and allowances are a significant source of revenue. Chargebacks alone are said to be a double digit percentage of the overall revenue a retailer such as Walmart makes. Now, we don’t know the nature of the agreements Hasbro has with the various retailers. This needs to be pointed out. However, given how retailers usually operate it is safe to assume that some or even all of the things mentioned in this article will be applied. I hope the article clarified a few things concerning the relationship between vendors/suppliers and retailers. It’s a symbiotic relationship, but one in which the retailer sometimes is in the much stronger position and they like to squeeze every last drop out of vendors and customers alike. So the next time Walmart offers 3 cent figures think of them as “loss leaders”, sure maybe they didn’t sell at all, who needs 5 Finns and 10 Jyns after all, maybe Walmart has to clear shelf space, but even all the discounted Jyn and Finn repacks will still help Walmart make some profit. Maybe you did not buy anything else, but many other people do, so that loss leader is a winner after all. And next time you buy a discounted Star Wars toy it may very well be that this discounted price is the actual normal price of the toy and the full price was marked up to exploit collectors who can’t or won’t wait. Smartphone manufacturers do that all the time too. Buy a brand new smartphone for $1000, or wait two months and pay $200 less… or wait a full year and you pay less than half the original price. Nowhere do any of these prices mean that the retailer (and manufacturer) loses money. Now, margins for toys are probably not as high as margins for modern smartphones – margins for toys are somewhere between 20-50% perhaps, it all depends on the toy, as usual nothing specific is known about Star Wars toys. Retailers, that much is sure, are not idiots. In fact, they know a lot about making money. But of course there are also products that just fail miserably and no allowances or fees paid by the vendor prevent the retailer from taking a hit. But rest assured that the retailer will no longer stock said product in the future. So as long as Star Wars toys are on shelves retailers do make money with them one way or another. If someone who works in retail can offer corrections, clarifications or can even spill the beans and provide some details, then please do so in the comments! I will be glad to amend the article if additional info comes up!